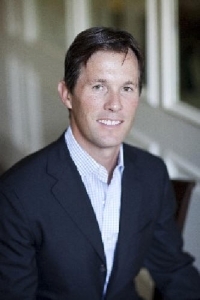 1/4/2011 - Intelagrid, LLC, the emerging leader in standards-based smart grid solutions, today announced that Matt Ernst, founder and former CEO of Amentra, Inc., has joined its board of directors. In addition to his successful track record as an entrepreneur, Ernst brings leadership and experience with sales, marketing, HR, operations, and finance. Mr. Ernst founded Amentra in early 2000 and served as the company’s Chief Executive Officer until shortly after its sale to Red Hat (NYSE: RHT) in March of 2008. Under his guidance and leadership Amentra became one of the fastest growing privately held companies in the country. Mr. Ernst was also named the Ernst and Young Entrepreneur of the Year in 2007. Prior to starting Amentra, Mr. Ernst held senior management positions for a major consulting company, including practice management, business analysis, HR/Recruiting, and sales management. Mr. Ernst spearheaded one of their fastest growing and most profitable project solutions groups, resulting in a multimillion dollar organization. Nexgrid, LLC is a US based company that provides an end-to-end solution for wireless smart grid and advanced metering. Nexgrid's products provide utility companies and consumers the ability to manage and monitor their smart grid and smart home networks. Nexgrid's solutions utilize high speed, 100% standards-based communications providing real-time data that enables energy management and utility operations. In addition to advanced metering of electric, water and gas, Nexgrid manufactures load control devices, capacitor bank controllers, thermostats and street light control hardware. Lastly, their ecoOne enterprise software provides meter data, network, load control, street light, outage and customer portal management all in one easy to use platform. For more information, visit: www.nexgrid.net.